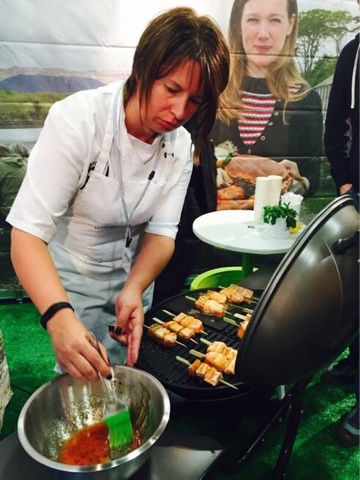 I absolutely love Scottish Salmon and was delighted to be asked to demonstrate for the Scottish Salmon Producers Organisation in Scotland's Larder Live at the 2015 Royal Highland Show. 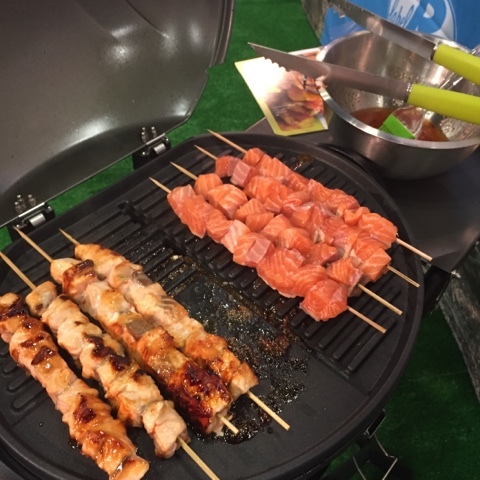 One of the recipes that really pulled in the crowds was Sticky Scottish Salmon Kebabs which I cooked up on an electric BBQ. I know die hard barbecue gurus turn their noses up at gas so goodness knows what they make of electric. I'd never actually come across one before but it worked really well and despite there being two fire alarms and evacuations in the food hall on day two I wasn't responsible for either of them! 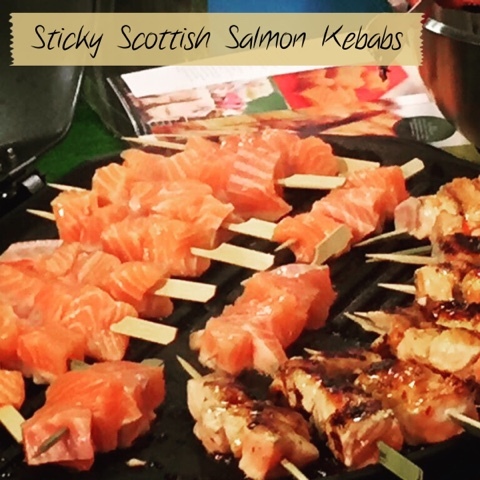 For many years salmon has been Scotland’s number one food export. This year, it also ranked as the UK’s number one food export. It is renowned worldwide for its superior quality and flavour and is enjoyed in more than 60 countries. Scottish Salmon has been granted the EU PGI award which sets it beside world famous products like Champagne, Scotch Whisky and Parma Ham. 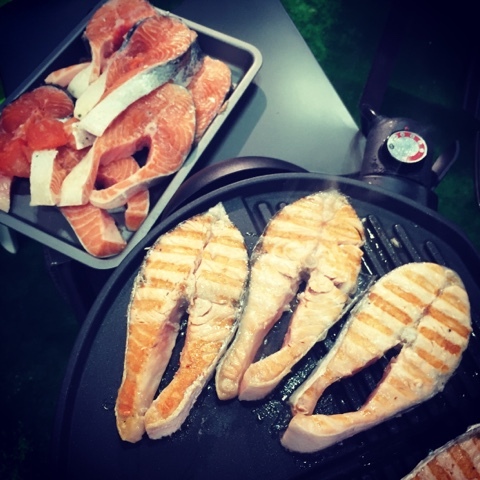 As well as being tasty and versatile in all its forms - fresh, smoked and hot smoked - it is rich in essential Omega-3 fatty acids, vitamins and minerals. Mix the sweet chilli sauce and honey in a small bowl and brush onto the kebabs. Place the kebabs on a medium hot barbecue. 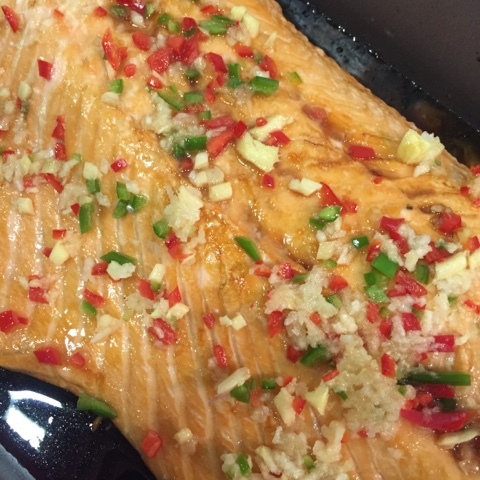 Turn occasionally and continue to baste with the honey and chilli mixture until cooked. This will take approximately 5-7 minutes. Another fantastic combination that also works amazingly well is Maple & Mustard. Mix together and use in exactly the same way. 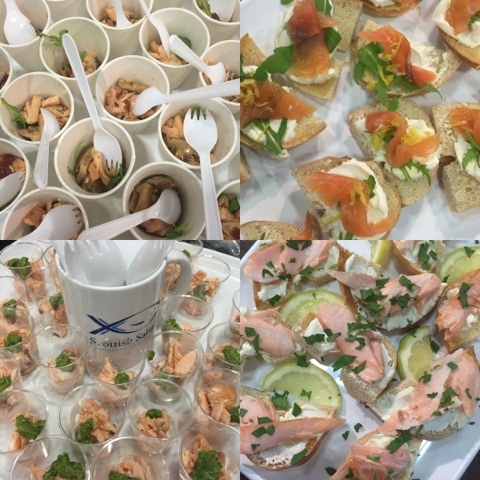 Throughout the two days I was working on the stand we distributed a huge amount of salmon canapés and tasters, the crowds, and camera crews, at the Royal Highland Show just couldn't get enough of Scottish Salmon. 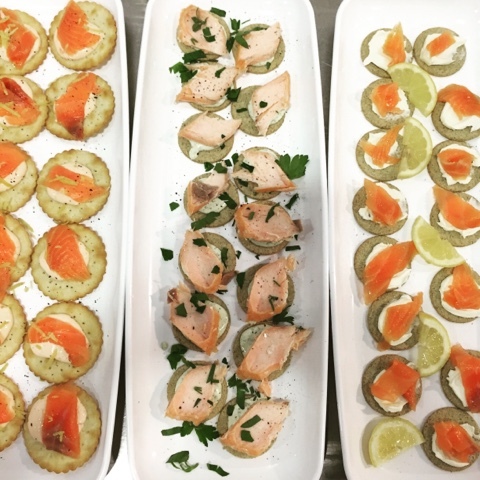 Canapes with Smoked and Hot Smoked Salmon with cream cheese, soured cream, salsa verde, capers and chilli jam and red onion marmalade supplied by Mackays. 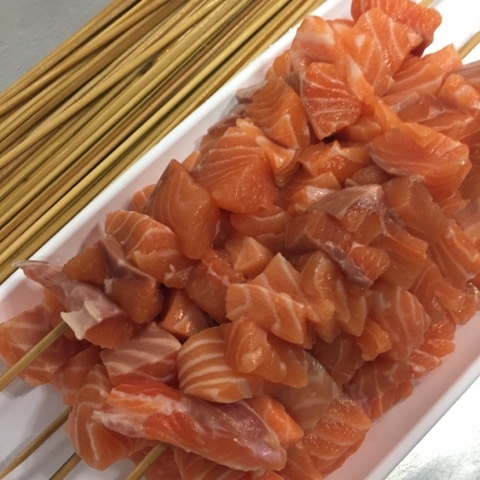 Scottish Rapeseed Oil came from Cullisse and featured in a variety of fantastic dishes including Hot Roast Scottish Salmon with Teriyaki Shitake Mushrooms and Rocket Salad, Barbecued Scottish Salmon with Noodles and Honey and Ginger Thai Style Scottish Salmon. I was in need of a rest after my two days with my fitbit clocking up 23,164 and 30,355 steps respectively making a combined total of 23.75 miles. 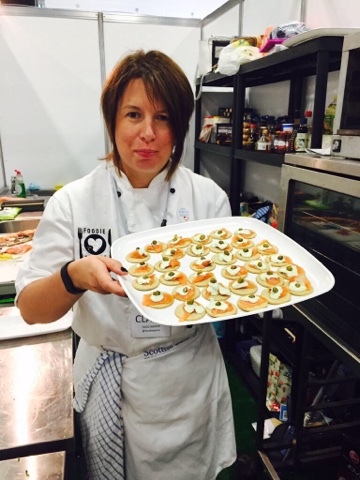 Rachel Gillon from A Wee Pinch of Sugar picked up the baton for the final two days in Scotland's Larder Live. Find out how she got on here. 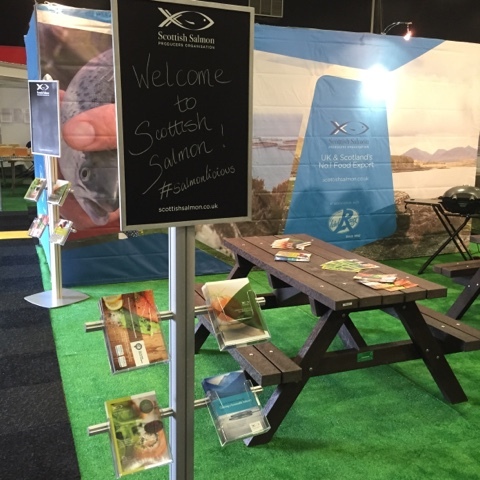 The Scottish Salmon Producers Association published a booklet of Essential Scottish Salmon Recipes that was given away in its hundred's to visitors to the show. 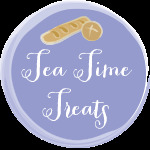 All the recipes I demonstrated (bar my canapes) were from it and you can download it here. Well done for demonstrating at the show Claire. It sounds very daunting, but it looks as though you are in total control. Thank you! Its a bit like the swan analogy. Cool and calm above water but paddling madly beneath. All of the dishes were delicious, very easy to make them so when you have such a great product to work with. My body was a bit of a wreck! These look delicious... and gluten free too. Something we'll definitely try asap. Thank you. I hadn't picked up on them being GF but that's useful to know that they are suitable to those who follow a gluten free diet for whatever reason. Thanks! it is definitely our "go-to" meal.